Stylish and elegant, this 59� Privilege designed by Marc LOMBARD is fully equipped and especially designed for cruising either in the Mediterranean or in the Tropics. OCEAN MED is an outstanding yacht providing all the luxury necessary to satisfy even the most demanding clients, she has been entirely refitted in 2015 and 2016. Let your wildest dreams of escape & voyages be fulfilled and make your holiday unforgettable. Fully air-conditioned in the cabins, her cherrywood interior amenities and luxurious furnishings harmoniously combine luxury, space & light. Two king and two queen-size cabins each with en suite bath provide maximum comfort and privacy. An additional berth is also available for a single. The large saloon lay out with two sofas & bar offers unrivalled volumes and a fully panoramic view of the idyllic scenery. 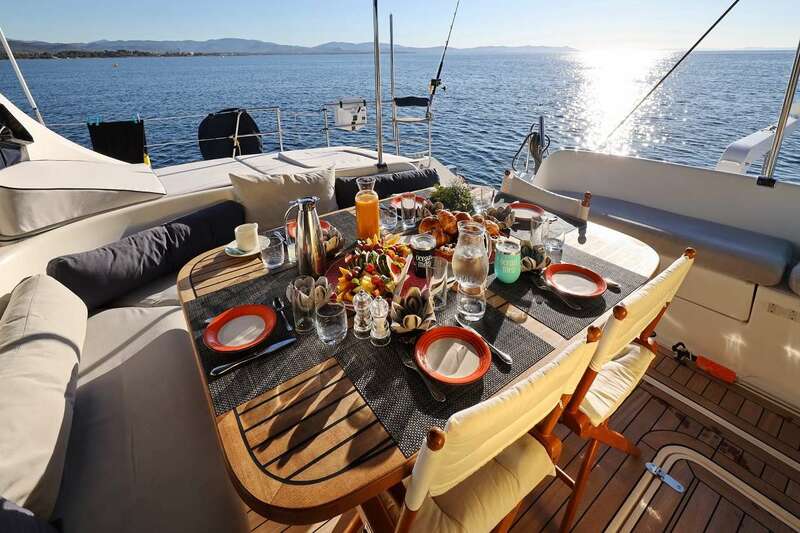 You will enjoy her spacious cockpit � ideal for alfresco dinners � and her vast deck space with large sunbathing areas, the ultimate in true relaxation. The aft swimming platforms make ideal points for boarding the boat, swimming or just dangling your legs into the turquoise waters of your mooring. You will be welcomed on OCEAN MED�s board by an expert and discreet crew of two who will make your cruise a unique adventure. Experienced in sailing the world�s seas, your Captain and his Chef/Hostess will help you discover and appreciate the treasures of each port of call. 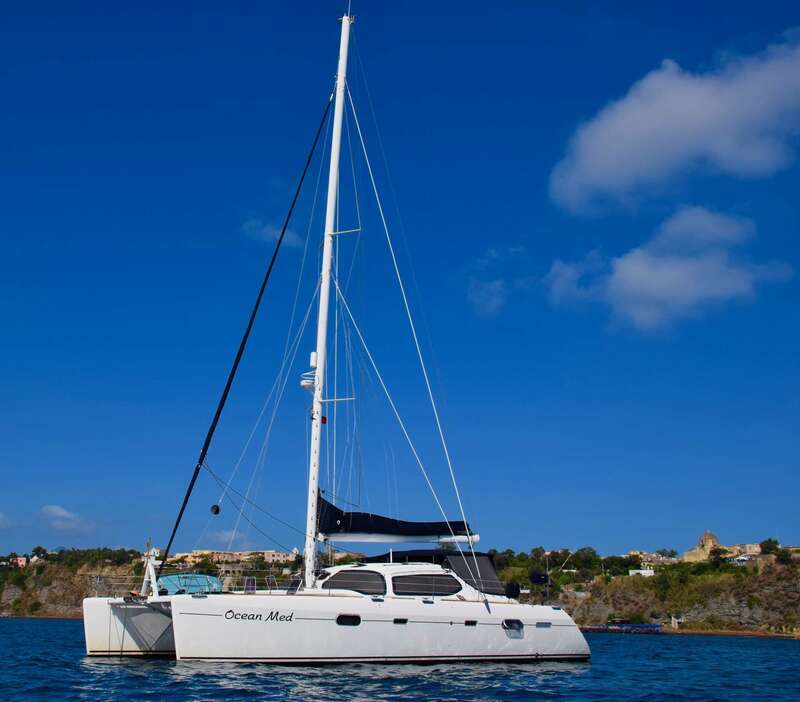 The moorings� beauty, the inhabitants� gentleness, the magic and splendour of the islands will do the rest!